The shiitake is one of the most highly prized foods in Oriental cuisine, lending its rich, caramel-like flavor to seasonings, sauces, soups, even carbonated drinks and candies. Yet few aficionados of this gourmet delicacy are aware of its high nutritional value or of its important role in traditional Chinese medicine and in the modern search for botanical remedies. Traditionally classified as a food that activates the blood, shiitake has been used as a folk treatment for colds, measles, and bronchial inflammations. Shiitake: The Healing Mushroom takes the reader on a lively tour of the healing properties of one of the world's most delicious foods. In the past few years, its growing popularity in the West has made shiitake, after the common table mushroom, the most-cultivated mushroom worldwide. Recent studies indicate its usefulness in lowering blood cholesterol levels and preventing heart disease. Research suggests that shiitake is valuable in immunotherapy, bolstering the immune system and increasing the body's ability to ward off cancerous tumors, viral infections, and chronic fatigue syndrome. The N.I.H. is testing shiitake in their AIDS research program. "Now that shiitake mushrooms have become readily available in the Western world as well as in the Orient where they originated, this is a timely treatise on the health benefits of this 'pharmafoodical. 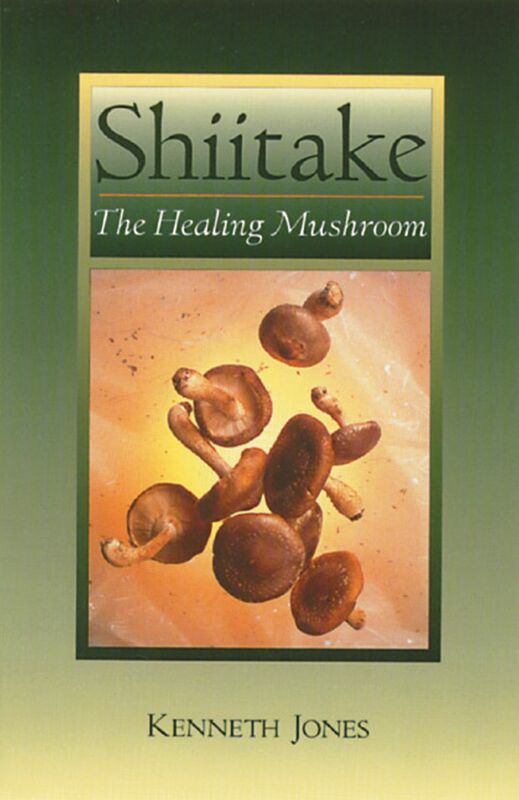 'Shiitake: The Healing Mushroom is loaded with specific and detailed information on a multitude of topics ranging from nutrition and cultivation to folk medicine and the Oriental medical perspective." "This book is small, yet it is packed with shiitake facts. Jones explains in clear, yet concise language how this mushroom lowers cholesterol, prevents heart disease, improves immunity and fights viral infections and cancer. All of the information is backed by pages of references, making it a valuable resource." "The book was thoroughly researched and well documented. I find this to be the best book on this subject."